Jon David Gruden is an American football coach who is the head coach of the Oakland Raiders of the National Football League (NFL). He first served as the Raiders' head coach from 1998 to 2001 and rejoined the team in 2018. In between his tenure with the Raiders, he was the head coach of the Tampa Bay Buccaneers from 2002 to 2008, with whom he led to the franchise's first Super Bowl title in XXXVII. At the time, Gruden, aged 39 years, 5 months and 9 days, was the youngest head coach to win a Super Bowl. 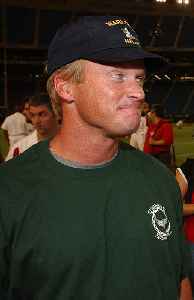 Gruden also served as an analyst for ESPN and Monday Night Football before he returned to coaching.